Organic recycling systems pvt ltd has been a forerunner in providing sustainable waste management solutions in India since 2008. Incorporated by technocrats our focus primarily has been on developing robust, cost effective & environment friendly technologies that are simple to operate. We are determined to become one of the leading technology providers in Asian region for mitigating waste management challenges by promoting sustainable technological innovations right from door-step and community level solutions to large scale end-to-end infrastructure solutions for municipal waste management at urban centres. Our projects are implemented keeping in mind positive social impact on environment & well being for society at large. Driven by principles of circular economy, we are committed to recover maximum resources from waste thereby reducing burden on landfills. 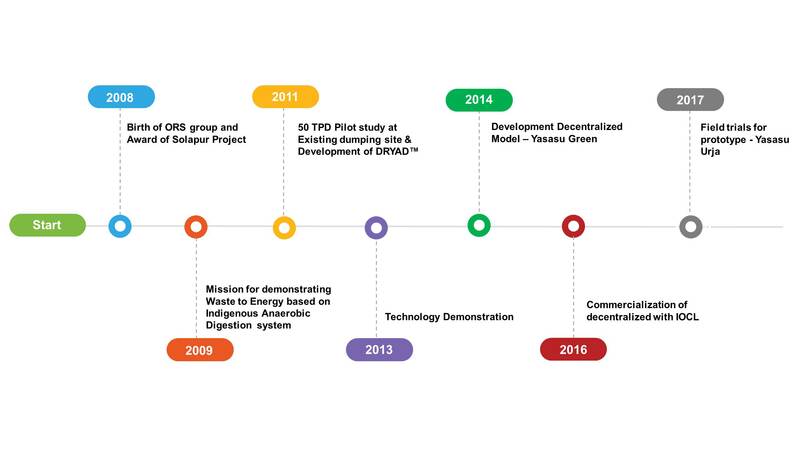 To acquire, adapt and develop ‘Green Technologies’ and deploy them to provide urban waste management solutions while leveraging Information Technology in all stages of the project life cycle, right from conceptualization to post project delivery, with conformance to Total Quality Management (TQM) standards. Intigrity : Take pride in everything that is fair, honest and knowledgeable and build trust in every situation. Leadership : Create vision, inspire others and advance the priorities and mission of the organization. Innovation & Change : Encourage innovation, adapt to change and be willing to take risks. Commitment & Determination : Keep pursuing our goals specially when experiencing adversity, commitment towards deliverable. Passion for service : Show love and concern for the people we serve and rejoice when their needs are met. Teamwork : Cooperate and work together for the common good of the people we serve and the organization’s mission. Open Communication : Encourage directness, truthfulness and diversity so that people and ideas thrive. Competence : Thirst for knowledge and self improvement and demonstrate the skills needed to accomplish a chosen task.